I always enjoy watching and capturing a family who allows their family-time to happen as if I wasn’t watching. Themes of sessions sometimes seem to reveal themselves without provocation. For this family, that was certainly the case. The theme? Watching & waiting. The four of them watched one another at various times and waited for reactions. Together, they allowed their laughter to fill the air around us. Walking, relaxing, parenting and playing; now that is a good combination. Mix that with this evening sky at one of the clearest teal water beaches I have ever seen, that is THE combination. You never would have known that just moments before the session began and as we were leaving the parking lot, rain clouds filled the evening sky. I stuck to my gut knowing they’d clear and an impressive sunset revealed itself. I am still coping with the idea that I may never again be able to capture this stunning family, due to distance and military duty stations, but I feel blessed beyond belief to have had the chance when I did. 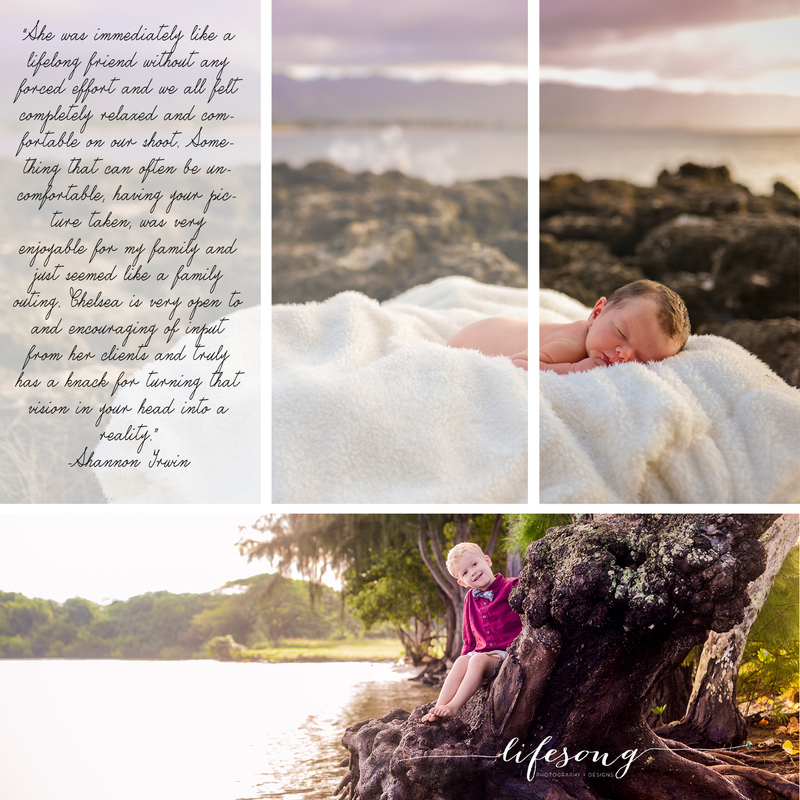 I am always so thankful when a family chooses Lifesong to capture their moments in time. However, when a family makes that leap to have their family portraits and lifestyle moments frozen through MY lens for the FIRST time ever, it is something very humbling. I look around and am aware that I am surrounded by some of the most incredibly gifted photographers. Having that knowledge can be intimidating but the support I have consistently given is really a breath of fresh air. Thank you to the Hernandez family for your willingness to “take a chance” with me. While looking over this past year of homecomings and military sessions, one stands out to me. Partly because of the story of how often this particular sailor is away from his family but also because of the family strength which is shown by his wife, Sarah. Sarah is one of the strongest mamas I know. Watching her story as a Navy wife unfold into mama of two was incredible. I knew I was blessed to capture her story because of the way she handles anything thrown at her. She is someone who rarely takes a breath for herself, but rather puts all her energy into making sure those around her, even strangers, get to be a part of the things that matter in life. From a leader in a women’s prayer group, to super mom, to a runner (now marathoner) and beyond, Sarah considers everyone she comes across “Ohana” and treats them as such. Handling a hectic schedule can be rough on some, for this woman, it is just the tip of the iceberg. Rain was in the forecast. An anxious toddler was asking a multitude of questions. The 72-day old baby needed to be fed and fed again. Then add in just walking to the pier; there was a stroller to be pushed, signs to be carried, the cake for the homecoming party also in hand. Cherry on top? Inclement weather rolled in. Homecoming day was here. It had been 180 days without her sailor at home and the amount of time this mama was required to stand in the rain, with a toddler and a newborn, awaiting his departure from the vessel would be considered overwhelming… for some. Sarah put her excitement in the drivers seat and let the rest of the noise fade away. Her calm and cool character allowed me to capture the best of moments, even in a downpour, with her babies in her loving arms. No duty went undone or poorly carried out. With a smile on her face and every detail done, Keegan, baby Ryleigh and Sarah were able to watch Ryan step off the ship with great pride. Thank you for your service, Stanchfield Family! You all are a blessing to this country and also to the men and women who stand with you. May your 2018 bring many blessings. Try checking the categories below or go to the Small Business Home Page. One of my favorite family sessions is a favorite not only because of the wonderful family who hired me, but because of the ideas they had to carry it out. This family took “spirited” to a whole new level and I LOVED it. Everything from playing football in a marsh to the expressions of love, happiness and joy on their faces made this session memorable. It is one to showcase also to give others an idea what a true lifestyle session can bring. We were amongst some of the most stunning mountains I have ever seen. However, I knew we nailed the session when we looked at the images and the family’s connection to one another stood out equally beautiful as the backdrop. I would be honored to enjoy the last bit of the football season with you and your family in this way! Who says a family session has to take place before Christmas or even in certain attire? There are no rules in the game of photography! Book now and make your next session with me all about YOUR family’s style, traditions and influenced by your energy. Not sure what to do? I will gladly help you brainstorm. With my background in event planning and design, I am sure to help you land on a “theme” everyone in your family will enjoy! Joining a running group in Hawaii, I never knew I’d meet such an inspirational and wonderful person like Jess. Certainly, that was not the intention when I began attending. We became fast friends which turned into best friends. It was a couple of months after we knew each other that she asked me to capture her daughter’s 3rd birthday. A couple of years later, that one session has turned into many more sessions. This is where my job constantly reminds me how blessed I am. Yes, it is true, friends are given the opportunity to witness children grow up and even celebrate with them. However, as a photographer who is also a friend, that honor of being the one asked to capture the milestones is something I do not take for granted. From shooting a certain once in a lifetime occasion to the annual picture for a family is something I feel great pleasure in doing. It is what I consider my “calling” to be. Being behind the camera I feel at home, I truly feel like I am able to help others step INTO the picture and become a part of that memory. We were finally able to have all four of them together for a family session. Before parting ways, due to military orders, we spent a relaxing evening strolling the Windward shores of Oahu. It is nights like that I thank God for the gift I have been given. It is nights like that I am in awe of the supportive people in my life. It is nights like that I will never forget.